Every congregation should have already received a letter from LCMS with instructions on how to submit your statistics..
Dear Operation Barnabas Congregations/Chapters, The March issue of “Warning Order: Operation Barnabas” features m..
Promote your upcoming events here! 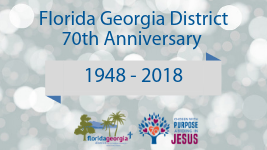 The Florida Georgia District 70th Anniversary Mission Challenge. Have you always wondered - what does the Florida-Georgia District do? 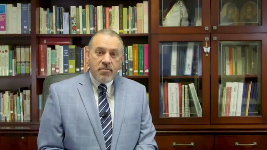 Watch this video to see how the District helps congregations in ministry. Have you always wondered - what does the Florida-Georgia District do? Watch this short video to find out.